Chiang Mai is one of the biggest cities and the cultural center in Thailand. Being voted as a UNESCO World Heritage, some foreigners find Chiang Mai’s picturesque environment and relaxed lifestyle tempting. The tourism is surging at the same time as the Thai government invest much money to make Chiang Mai an innovation-driven “smart city”. In this listing article, you can find some of the most interesting new property projects and launches in Chiang Mai. We update the article on a regular basis, keeping it up-to-date with the latest information. 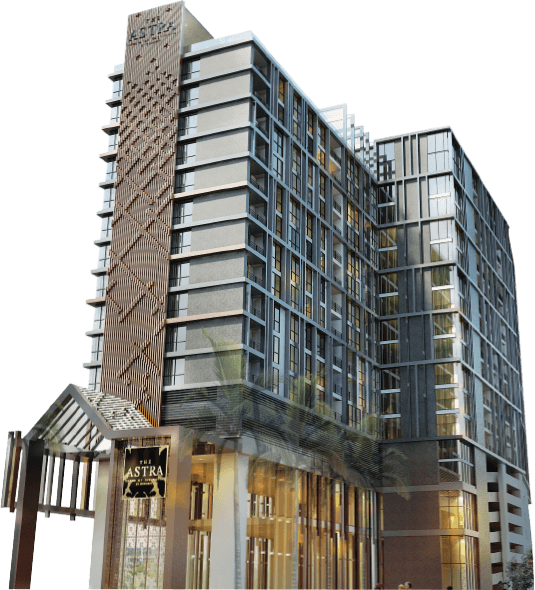 The Astra Condo is one of the biggest and most popular condominium projects in Chiang Mai with hundreds of apartments. The complex is located just next to a 5-star Shangri-La Hotel, 5 minutes away from Chiang Mai’s famous Night Bazaar. You’ll reach the airport in 10 minutes by car. The condo has a number of modern amenities and is top-ranked on websites like hotels.com. It was the winner of the ‘Best Residential Development (Chiang Mai) Award’ in 2016 by Thailand Property Awards. Ornsirin Group is based in Thailand with more than 13 years of experience. The company has finished more than 20 projects with over 3000 units in total. 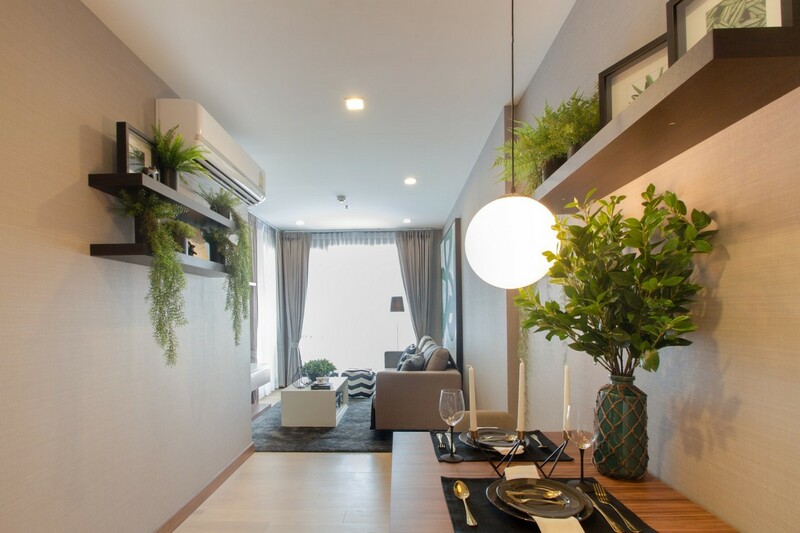 The New Concept Serenity offers some of the highest yields in Chiang Mai and is a low-rise condominium project in royal pavilion style. It’s a perfect place for families and retirees. The project is located 12 km from the airport and 10 km from the city center. The New Concept is a developer based in Chiang Mai with more than 9 years of experience. Up until today’s date, the company has finished 10 projects and built more than 2000 units. The New Concept Grand Villa will be a premium community with European style villas and a clubhouse. 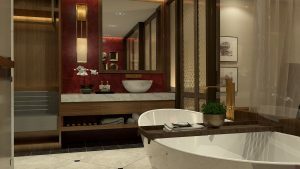 The same as it goes with The New Concept Serenity, you can earn some of the highest guaranteed rental incomes if buying here. The complex is located with proximity to international schools, supermarkets, and more. The New Concept is based in Chiang Mai and has more than 9 years of experience. Up until today’s date, the company has finished 10 projects and and built more than 2000 units. 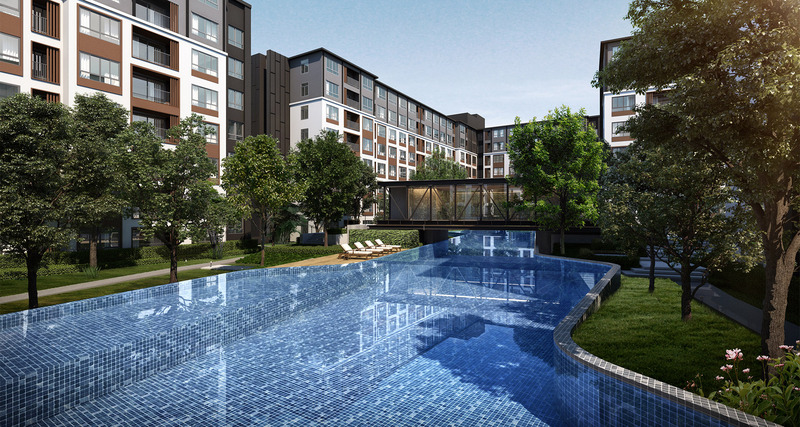 Dcondo Ping was launched in September 2018 and is one of the most sought after projects in Chiang Mai. Built by Sansiri, one of the leading developers in Thailand, Dcondo Ping offers smaller 1-2 Bedroom units and studios. 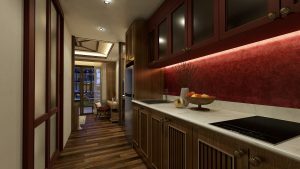 The condo is built with a modern interior and exterior, offering many amenities. The Issara Condominium finished in 2018 and offers a relaxed atmosphere with a number of modern amenities. 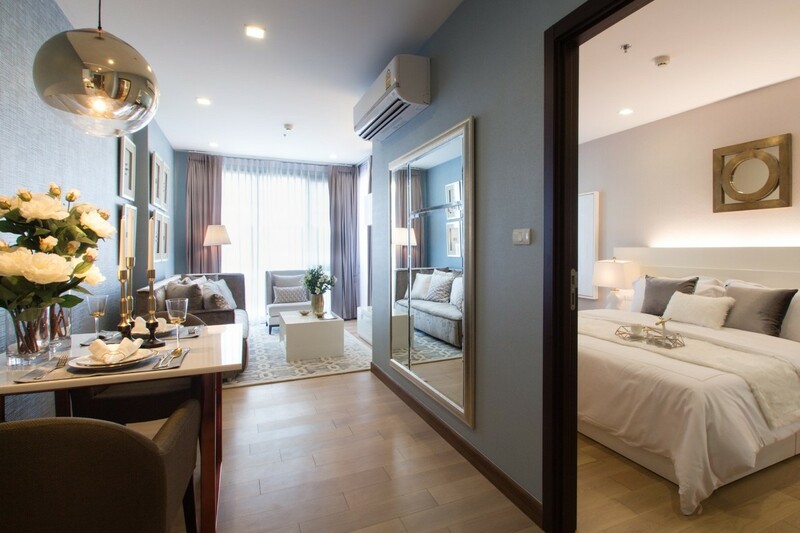 Compromising of only 265 units, it gives you a more personal feeling and with easy access to a Big C department store, Tesco, Bangkok Hospital, Chiang Mai airport, and more. Charn Issara Development Public Company Limited has more than 30 years of experience and built more than 20 award-winning developments. In addition to condominiums, the company builds townhouses, luxury villas and single-detached houses. Hilltania is a low-rise condominium project with only 47 units. It provides a calm and relaxing atmosphere and won “The Best Residential Development (Chiang Mai)” by Thailand Property Awards in 2018. The project has a modern and high quality architecture and amenities. Somsriwangtongkum is a local developer in Thailand and was incorporated in 2016. Below you can find frequently asked questions from property buyers, including our replies. Is buying property in Chiang Mai a good investment? 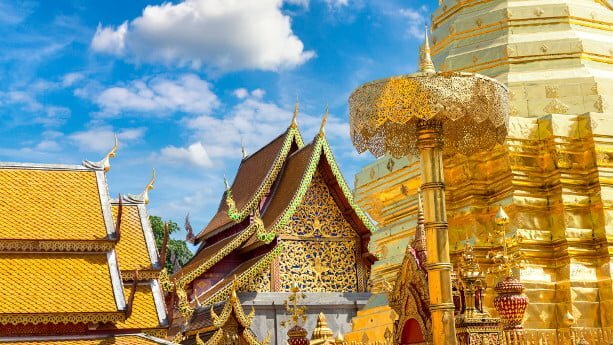 Despite being one of the biggest cities in Thailand with more than 15 million tourist arrivals a year, Chiang Mai is more laidback compared to places like Pattaya and Bangkok. It’s located in the North with a beautiful landscape and many famous cultural sites. It’s a haven for many digital nomads, expats and retirees. Property prices are considerably lower compared to Bangkok, it’s not rare that you find property being half as expensive. Still, the rents are almost the same as in Bangkok, averaging at USD 47 per day. Occupancy rates are comparatively good as well, averaging at 64%, and reaching 82% during the peak seasons. One thing you should keep in mind is that the cost of living is lower and many foreign families decide to settle down in Chiang Mai. Can I get a local property loan in Thailand? Thai banks rarely provide property loans to foreigners. Having that said, property is cheap in Chiang Mai and many people pay with cash upfront. In case you need financing, you should check whether you can borrow against a property in your home country, or buy with the help of a Thai spouse. Developers sometimes offer financing when buying off-plan as well. Can foreigners buy a house with land in Chiang Mai? You can buy a villa with land, but the land needs to be leased over a time period of 30 years. A preferable way is to include a clause in the sales and lease contracts, stating your rights to renew the leasehold period for additionally 30+30 years. This will give you the right to lease the land for up to 90 years. You can own the villa (physical structure) on a freehold basis whatsoever. Before you make any big transactions, I recommend you to hire a solicitor that will give you advice, review the contracts, and help you to verify the title. Do I need to stay in Chiang Mai if I buy property there? No, you don’t necessarily need to live in Chiang Mai if you buy property. It’s allowed to buy property for rental purposes, and the developers often provide guaranteed rental incomes ranging up to 8-10%. Is it legal to rent out property on Airbnb? It depends for how long you plan to rent out your property at a time. According to these acts, you can rent out property during a time period of 30 days at a time. If you go to Airbnb.com, you can see that there are more properties available, in case you input a stay of 30 days or more. The condo managements also have their own rules, it’s important that you confirm upfront what regulations that apply. You can read my separate article that explains more about how it works when renting out property on Airbnb in Thailand. Are there any long term visas available in Thailand? One of the benefits of investing in Thai property is that you have a handful of long-term visas to choose among. First, you have the Thai Investment Visa which allows you to enjoy similar benefits as a PR holder. To be granted a Thai Investment Visa, you need to invest and/or deposit THB 10 million. When it comes to property purchases, you need to invest at least THB 3 million in newly built condos. The remaining THB 7 million can be deposited into a local bank account and/or used for investments in government or state-enterprise bonds. You can combine any of these asset classes as well. Your second option is to apply for a Privilege Entry visa, previously called the Elite visa. This visa is priced from THB 500,000 – 2,000,000, and you simply pay for your right to stay in Thailand up to 20 years. Personally, I would invest in property instead of going for this option, as you won’t really gain anything except for some exclusive services. Which areas are popular when buying property in Chiang Mai? Nimmanhaemin road has many restaurants, shopping malls, bars and other amenities. As Chiang Mai is fairly small, foreigners tend to stick to areas around Nimmanhaemin road. Property prices are comparatively low and around THB 1 million (USD 30,000) for a one bedroom condo. The Riverside on the other hand is mainly popular because of its beautiful scenery over the Ping River. This area is less congested and noisy, and suitable for families and expats. A one bedroom condo at the riverside areas will cost you around THB 1,250,000 (USD 40,000).